I own a 2005 Accord coupe EX. I have 2 questions. I am a new bee so please explain in detail. 1. How does the speedo meter and tach works? As far as I know, there is no cable from transmission or engine coming to the cluster. There is a harness that connects to the cluster. I could be wrong. 2. I want to read speed, RPM, engine temperature and fuel gauge reading. Which wires should I tap to get these readings? Are they analog or digital signals? I have heard for speed I can tap ABS speed sensor wire. But I have no clue where I can find it. I want to feed the inputs to a computer and perform some operations. They are digital On/Off signals. You can read most of what you want from an obd2 scanner. Wireless obd2 interface and wide variety of scanners available. Do not try to "tap into your wiring"! This is asking for problems you won't be able to solve. The speedometer is controlled by the power supply circuit/controller area network controller built-into the gauge control module. The power supply circuit/controller area network controller receives vehicle speed information from the ECM/PCM through the fast controller area network transceiver via the MICU. The ECM/PCM receives vehicle speed information from sensors within the transmission. The tachometer is controlled by the power supply circuit/controller area network controller built-into the gauge control module. The power supply circuit/controller area network controller receives engine speed information from the ECM/PCM through the fast controller area network transceiver via the MICU. The ECM/PCM receives engine speed information from the crankshaft position sensor. 2. As TexasHonda previously, the data can be read via the OBD2/DLC port. In addition to OBD 2 scanners, there are aftermarket devices and smartphone apps that can display the info. too via the OBD2/DLC port. @Redbull: Whenever I post something on this forum, I eagerly wait for ur reply coz it always have solution to my problem. I am planning to replace the cluster with an LCD screen which will show everything that a cluster shows. How practical it would be to read data from OBD2 for this project? I am planning to hook it up to a computer (most prob Raspberry Pi2). I still would have to find a way to read OBD2 scanner data via USB port. Do you think it is can be achieved? It is feasible. 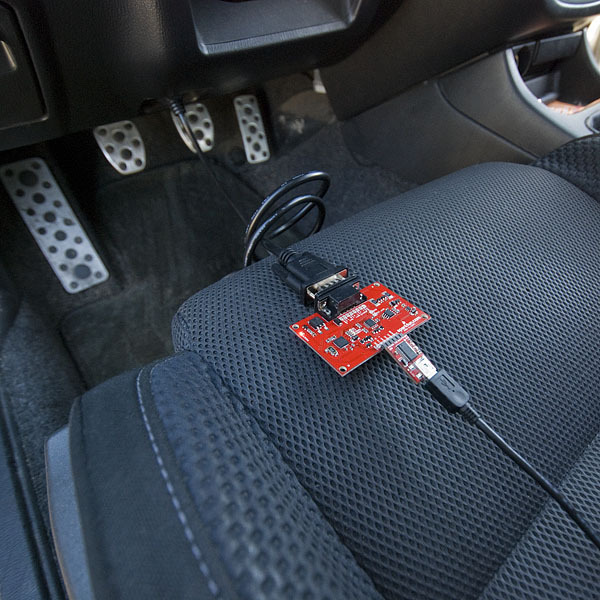 There already is an OBD-II UART available to hook up to the Raspberry Pi2. Thanks Redbull. I will do some more research and will ask u questions if I have more doubts. awesome idea. please share the results.